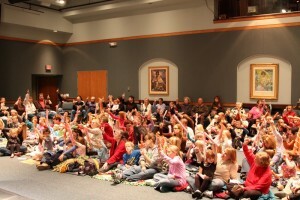 The School for the Arts has been providing performing arts education and children’s theater for almost 50 years. The school’s mission is to provide challenging arts education programs that enable youth to acquire knowledge and skills in the performing arts, as well as gain lifelong interests in the arts and culture. We provide a fun, safe, artistic environment for our students. We nurture self-confidence, encouraging students to develop their own unique skills and a strong sense of commitment and teamwork. Whether your school, organization, or scout troupe comes to see a production or attend a workshop or we bring our performances and classroom experiences to you, Sunset Playhouse School for the Arts is an exciting resource for your students. What better way for children to receive an appreciation for live theater than to experience it with Sunset Playhouse School for the Arts’ bug in a rug Children’s Theater! The Sunset Playhouse School for the Arts bug in a rug Children’s Theatre series is an interactive experience targeted for children ages 3 – 8. Participate in bug in a rug Children’s Theater by attending a performance at Sunset Playhouse or by booking a performance at your facility. 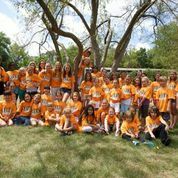 Bring a Sunset Playhouse School for the Arts teaching artist to your school or bring your student’s to Sunset Playhouse for a day, a week, a month, or a year. This is a perfect opportunity to introduce the performing arts to students, scout troops, or any community organization. While the students are in your class, add interactive, creative programming to your curriculum. Bring in a Sunset Playhouse School for the Arts teaching artist to provide a theater workshop in stage combat, musical theater, Shakespeare, improvisation or any other theatrical style. After the bell rings, a Sunset Playhouse School for the Arts teaching artist leads a workshop designed to encourage creative expression, collaboration, and self-discovery. 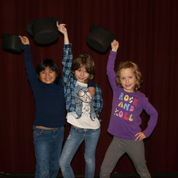 Invite a Sunset Playhouse School for the Arts teaching artist to participate in your school’s high interest/career day. Bring your students, organization, or scout troop to Sunset Playhouse for a behind the scenes tour of our facility. After the tour, attend a workshop to introduce students to the performing arts experience. Have a young thespian that is looking for a unique way to celebrate a birthday? Why not have a birthday party at Sunset Playhouse? 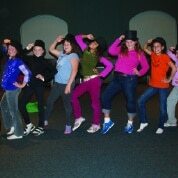 Attend one of our bug in a rug Children’s Theater performance and enjoy theater games and a tour after the show. Schedule a themed party where a Sunset Playhouse School for the Arts teaching artist will lead party goers in theater games or putting on their own performance. Rent our space (including a kitchen) to celebrate!